Poll bound Meghalaya is estimating the requirement for additional companies of Central Armed Police Forces (CAPFs) to be deployed in the state. Assembly polls to be held in Meghalaya in February-March next year. Meghalaya additional DGP, B L Buam on Thursday said that the matter would be finalized in the first week of next month. “We are assessing the additional requirement of the state in terms of deployment of security personnel for election duty. We can’t say right now tentatively or roughly how much we would require. By January first week, things would be finalized,” Buam said. During the visit of the full team of the Election Commission of India led by chief election commissioner, Achal Kumar Joti on December 22 and 23 here, poll preparedness of the state was reviewed along with the Meghalaya chief electoral officer, FR Kharkongor, deputy commissioners, superintendents of police as well as with representatives of various political parties. The ECI team also met Meghalaya chief secretary, Y Tsering and DGP SB Singh. During elections, apart from existing police forces, the state government also sought the deployment of CAPFs for ensuring free, fair and peaceful conduct of elections. Sources said various factors would be also considered for identifying vulnerable and critical polling stations by looking at past history of each and every constituency or polling area, incidents of booth capturing, violence, abnormal law and order situation in particular area, nature of contest and status of candidates and political rivalries. 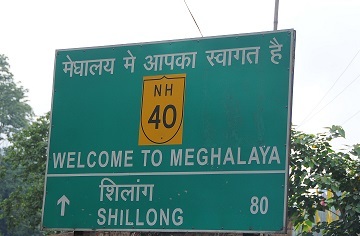 Meghalaya has 60 Assembly seats with 3,082 polling booths. It will be for the first time that electronic voting machines (EVMs) along with voter verified paper audit trails (VVPATs) would be used in the upcoming Assembly polls. However votes recorded in EVMs and slips generated by VVAPTs would be counted only from one polling station of each of the 60 Assembly constituencies.